H ard drive crashed? Computer died, and you forgot to keep regular backups? Don’t worry, we’re here to help! We deal with dying or dead hard drives every day, and provided your drive is still spinning, we can usually retrieve the data within 24 hours, for just £59! What’s more, if we recover the data to a new, compatible hard drive we’ll put it right back into your laptop and we can often have it up and running again, as if it never happened. If your computer is slow for absolutely no reason, or strange things seem to be happening, this can often be the cause as it makes the operating system unable to access things it needs; the effects can be as obvious as the system not booting, or, as one customer found out, can all start from being unable to print. A non-spinning or intentionally (or accidentally) erased drive is a different matter however, in the case of a drive that does not spin, we need to pass the drive on to a specialist facility, in which case the cost and time taken rises substantially. Please remember, our services are no substitute for proper backups! Backup utilities are built into every modern version of windows and Mac OSX, so don’t neglect them if you value your data! If you provide us a backup after drive failure we can get the job done faster, cheaper, and with a much higher success rate. 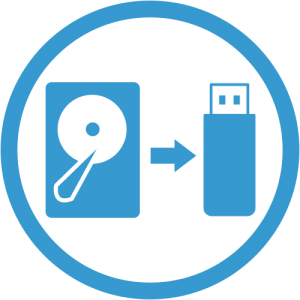 For mission-critical devices we recommend Macrium Reflect – the free version quickly creates a clone of your entire drive on demand to an external drive, while the paid version can do the same, but with incremental backups, so you can always return to a previous time if you lose vital information, and always keep up to date.